Matthew Petersen, a nominee for the U.S. District Court for the District of Columbia, could not define basic legal terms in his hearing before the Senate last week. Senate Judiciary Committee hearing room in the Dirksen Senate Office Building. Photo by Diego M. Radzinschi/ALM. 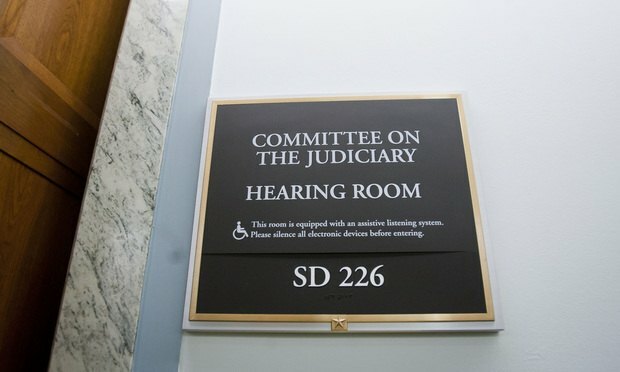 After failing a senator’s legal pop quiz last week, one of President Donald Trump’s judicial nominees has withdrawn his nomination, a White House official confirmed Monday.